The TotalCounterChime is battery-operated sensor installed overhead to alert when someone walks under the sensor. THIS IS A CHIME UNIT ONLY >>> NO COUNTS ARE REPORTED. 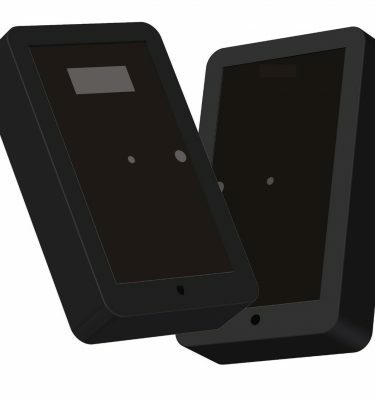 If you would like a counter display and remote chime speaker, please review the TotalCounterOH. The sensors can also be installed on a wall and used in a ‘single-sided’ mode. Please see the Installation Height chart in the photo gallery. 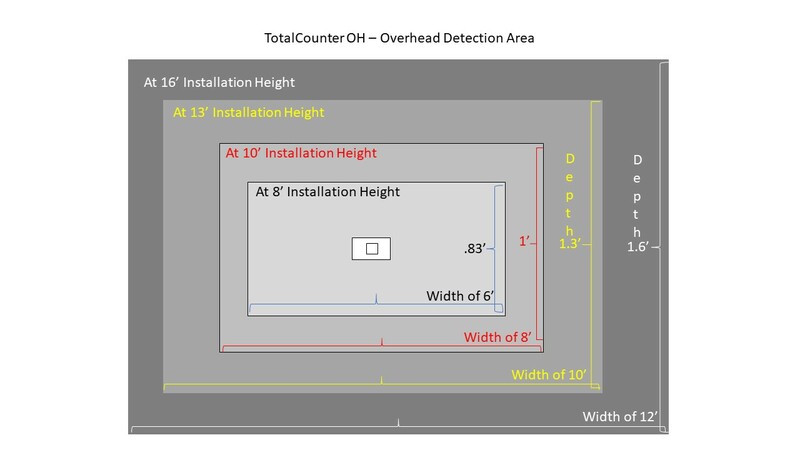 The TotalCounterChime is an overhead, ceiling mounted counter that incorporates state-of-the-art passive infrared (PIR) sensor technology with wireless convenience for detecting infrared energy emitted by objects, when in motion, within a given detection area. This unit is not affected by sunlight, car headlights, reflections, shadows, or colors. THIS IS A CHIME UNIT ONLY >>> NO COUNTS ARE REPORTED. If you would like a counter display and remote chime speaker, please review the TotalCounterOH. The TotalCounterChime uses a standard 9-volt battery-operated and provides pleasant, volume controlled ding, or ding-dong chime when someone walks under the sensor. 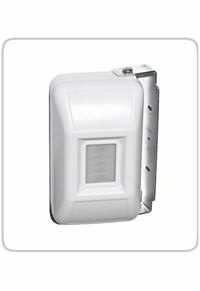 Use to alert when someone comes into the main entrance and use additional units to alert of other traffic areas. 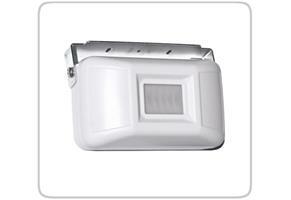 Can be installed on ceilings 8 to 16 feet high. Standard 9-volt battery. User replaceable.